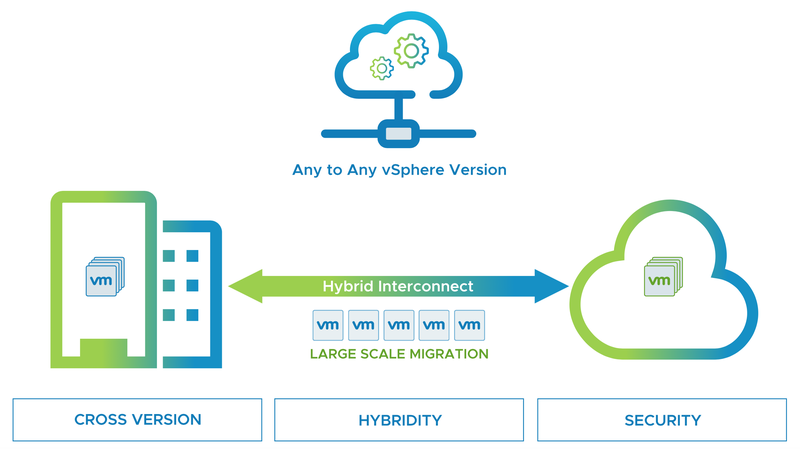 VMware Hybrid Cloud Extension (HCX) is probably one of the most underestimated VMware products. Even amongst virtualization experts, very few people know what it is, and what value it can bring to the companies. The VMware HCX is a platform that erases borders between on-prem and cloud datacenters. It delivers app mobility and creates infrastructure hybridity across vSphere 5.0 and newer versions. In the last 3 years I have helped multiple customers to migrate more than 10 000 virtual machines and in the next 2 blog posts I will explain you how VMware HCX can help you to make the migration journey simple and pleasant. To be honest, VMware Hybrid Cloud Extension is not a new product. If you ever had experience with vCloud Air you might have heard about Hybrid Cloud Manager, the product that allowed to integrate on-prem vSphere with vCloud Air and to onboard virtual machines from local vSphere to the cloud. Googling for some information on HCX I stumbled upon Hybrid Cloud Manager documentation and was surprised how much it resembles HCX. Even the screenshots look the same. I can only guess that after selling vCloud Air the Hybrid Cloud Manager was rebuilt, renamed to Hybrid Cloud Extension and repurposed to help customers to adopt new hybrid cloud approach which became really important for VMware since the announcement of VMware Cloud on Amazon. The initial release of the HCX occurred last year and was limited to two scenarios: on-prem vSphere to VMC on AWS or to one of the VMware Cloud Providers. This year the product was enhanced to allow on-prem to on-prem topologies. I don’t have any numbers to prove my point, but my personal gut feeling is that on-prem to on-prem scenario will become the primary use case for the product. VMware really strive to make migration to cloud as smooth and easy as possible for customers. However, I can already see there is a huge interest in using HCX for on-prem to on-prem scenario, mostly for migration purposes. Well, that wasn’t last change for the product in the series of events. Starting from 15th of June the on-prem to on-prem HCX offering became part of NSX Enterprise Plus edition and now it goes under new name NSX Hybrid Connect, but for the sake of consistency I will keep using HCX name. So, when customers ask me how mature the product is I can confidently say this product has been on the market for quite a long period of time and is very reliable. Enough with the introduction, let’s have a look at the most common use cases of HCX. Migration is definitely the hottest topic for HCX and here is why – upgrades are painful. Modern virtualized datacenters have become very complex environments where tens and hundreds of key elements depend on each other. There is no easy way to upgrade one product in the environment without a ripple effect on other applications. Identification of those dependencies can take months. Building the upgrade plan and going through lengthy and numerous approval process can extend the upgrade project timeline even further. Some elements of the infrastructure could be outsourced which means third-party vendors have to be engaged. All these factors make the upgrade a very expensive process. There is a chance that by the time the upgrade is completed your environment might be already outdated. And even if the upgrade is successful you still bring along the constraints and limitations of the old environment. In some cases, the upgrade is not possible at all. For instance, I know a customer that still runs vCenter 2.5 with ESX 3.5 (not even ESXi) on very outdated hardware. Choosing migration over upgrade companies get the opportunity to start from the scratch, to build an environment that suits their new needs and to get rid of the historical constraints of the old design. Hybrid Cloud Adoption is another strong use case. With HCX there is no need to wait for WAN connection to on-board to cloud. There is no need to look for third party products to ensure secured and high-performance connectivity. No need to upgrade networking hardware or to modify networking configuration in order to extend L2 network to the cloud. HCX introduces a new solution to solve Disaster Recovery by providing Active-Active protection for either Partial and Full Recovery. With HCX DR it is possible to protect VM in primary or secondary sites, run test and planned failovers, reverse the replication and execute the failback. This may sound familiar if you have experience with VMware Site Recovery Manager. So, what are the key features of the product? First of all, HCX delivers true Application Mobility. It allows to move your virtual workload between on-prem datacenters and clouds, between your datacenter running vSphere 5+ and VMC on AWS or vCloud Director at Cloud Provider. The product enables bulk migration of VMs using either zero-downtime or ‘warm’ migration. We will talk about each migration options in details in the second part of the review. Workload mobility and migration of applications between different locations very often requires IP renumbering. This is very disruptive and effort-consuming process. With automated network stretching delivered by HCX this requirement is lifted and virtual machines can keep their IP and MAC addresses. The whole set of network features, also known as Infrastructure Hybridity deliver WAN optimization, encryption and highly efficient connectivity. There are two types of HCX Managers – Enterprise and Cloud. This comes from the origin of product which was initially build for on-prem to cloud topology only. There are few key differences between them. HCX Enterprise Manager is the management plane of the platform in the source site. It is responsible for integration with local vCenter or vCloud Director (or more than one vCenter in the same SSO domain) and for installation of HCX plugin into vSphere Web Client. After HCX Enterprise Manager is paired with remote site it enables deployment of other HCX components. HCX Cloud Manager is deployed in destination site. Even though it is paired with local vCenter server there is no HCX Web Client plugin installed in the destination vCenter. Therefore, all HCX configuration and migration activities must be completed from the source site. However, the HCX Cloud Manager GUI provides disaster recovery capability which can only be used during the actual disaster recovery when the source site is unavailable. This is a heart and engine of the HCX platform which enables cross-cloud ‘warm’ and live migrations while providing encryption of the migration traffic. VMware hasn’t invented a wheel here. Instead, the well-known data migration technologies such as vMotion and vSphere Replication were improved and fused into a single appliance. The beauty of the WAN Interconnect lies in the very elegant proxy solution for migration traffic. We will cover details of Secure Proxy in the second part. If you look at description of this appliance you may notice that it is a customized Silverpeak WAN Optimization virtual appliance. It improves the performance of the WAN and Internet links by compressing and deduplicating the migration traffic. 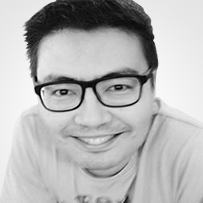 On top of that, the WAN Optimization appliance uses path conditioning techniques, such as Adaptive Forward Error Correction and Real-Time Packet Order Correction, to minimize the number of retransmits and increase overall performance of the network between sites. HCX Network Extension appliance extends L2 broadcast domains to the remote sites over encrypted tunnel. This allows VMs to keep the same IP and MAC addresses after migration. The biggest advantage of this appliance is the simplicity of the process. If you ever had to deal with network stretching between two vSphere environments using physical switches or NSX L2 VPN you will really appreciate the HCX Network Stretching. This concludes the first part of HCX review. In the second part we’ll review the deployment requirements and process and will cover the technical details of HCX key features.